1. Wait! Don't post yet! Have you keyword optimised your post? Keyword optimisation sounds like a pretty complicated thing for only tech-bods and professional digital content writers, right? Wrong! Key word optimisation is about picking the most popular search terms related to your post, and making them prominent so Google can pick them out easily. So how can you do this? Easy! Scan back through your post, pick out some of the main topics and paste them into Google Adwords free keyword selection tool. This will bring back a list of the most popular search terms and you can start adding these into your post and post title. Remember - don't just plonk the keywords into the post, incorporate them into sentences and try to blend them into the content naturally so it looks like you came up with them all by yourself! There are a few other bits and bobs you can do to improve the SEO (search engine optimisation) of your blog posts, but I'll save that for another day! If you don't have a custom URL and are still working from blogspot or wordpress given ones, or even if you've just written a post with a really long title, your link is going to be way too long, especially for things like twitter. Before you post it about the place, shorten it using one of the free online url tools. My recommendation would be to use one that can help you link track! Bit.ly and Goo.gl remember the links and can give you stats on how many times it's been clicked, so you can see the performance quickly and easily if you aren't au fait with something like Google Analytics. If you're smart, you could use different custom URLs for different status updates to see which one does the best! No doubt that once you have published a new blog post, you're going to want all of your followers to see it, so posting it on social media is a great way to do that. We've all got various social media accounts and are better for showing off things that others aren't, so tailor your status updates to match each one! Keep it short and snappy on twitter, give your instagram followers an amazing photo and tell your facebook fans a little bit about the post before they click through! Another thing to remember is that fans of your blog will probably follow you on all channels, so they don't want to see the same update, in the same words, on every different site! Mix it up a bit and show them your creativity! Again, I'll be looking a bit deeper into social media for blogs in a future post, so stay tuned for that! This is another social media hint, and perhaps an obvious one, but maybe not as easy as it seems! They key is to find out what kind of people will read your blog. Got a beauty or fashion blog? Looks like the main bulk of your readers will be 14-20 something girls who love fashion and beauty! So where will you find these people? Join the right groups on Facebook and find the right hashtags on twitter so the people who like the things you post about have more chance of finding your blog! It's worth noting here that if you're going to comment on other blogs, you need to have something to say. Google tends to think that blog comments using less than 8 words are actually spam, and if you've added your link to that post, it could be doing your blog some damage! Blog comments are a good way to get a few valuable backlinks to your site, however just writing "Lovely post! Visit my blog!" is probably the best way to get your comment ignored. Find blogs that are similar to yours and comment on their posts with something meaningful! Give your own opinion on the topic, let people know what you like and let people know that you have posted about similar things without bigging yourself up too much. If people think you have something interesting to say, they are more likely to click your link and see what other interesting things you have to say. 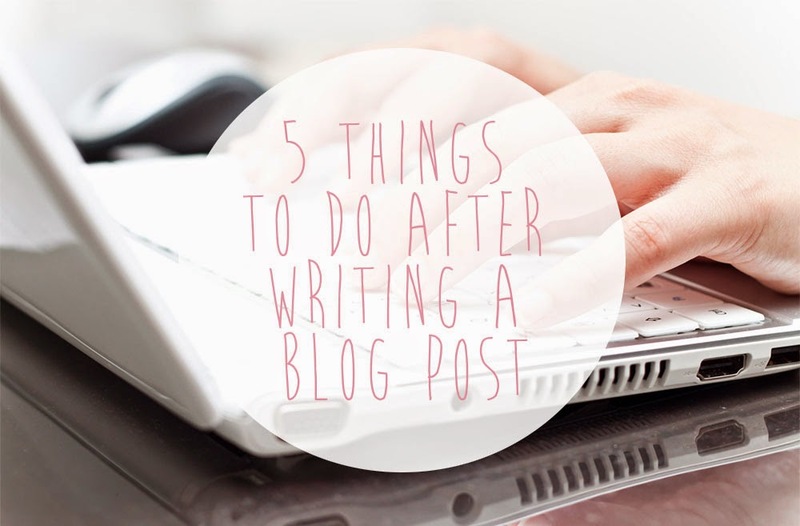 It also means the blogger is more likely to reply and you can start up a conversation, building up lovely little blogging relationships, so always check back to blogs you have commented on before to see if anyone has replied to you! Wowzers, that was a pretty long post, so sorry about that guys! I really hope it's been helpful though, and I'll be expanding on some of the topics such as social media for blogging and search engine optimisation in my future blogging tips posts. 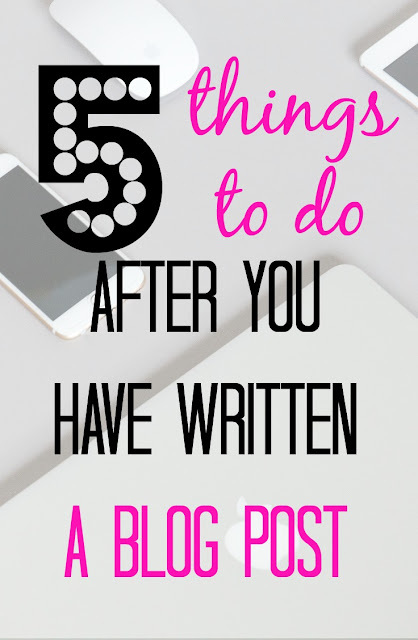 Like I said before, I'm guilty of not doing some of these very well myself, so I'm going to make a conscious effort to try and do all of them (starting from... NOW!). Let me know what you think in the comments. Do you do any of these? Or perhaps you do some other things that might be useful to other blogs! Share them with me, and everyone else, in the comments below! These are great tips thank you! I do struggle alot with promoting my blog and I am completely confused about seo and all that kind of thing but your first tip will help me out a lot. Thanks for your lovely comment honey! I think it's one of those things that people don't realise can actually take up a lot of time! And others, like myself, are guilty of perhaps getting a bit too lazy. It's not often that the readers will just stumble upon your blog, unless you have the most fantastic SEO skills, so it's all about putting the link out there and making it easy for people to find! Wow, thanks for your comment :) It's nice to see that some of these tips do work, and definitely shows me that I should be doing more to stick to it. I'll make sure I post the other tips in this series to the same groups so you can see them!